This case study looks at how the Chennai Metropolitan Water Supply and Sewerage Board leveraged the citys coastal location, developing a model that not only enables it to get low-cost water but also encourages private-sector participation. EXECUTIVE SUMMARY: Water, a politically sensitive commodity, has always been underpriced in India. This sector has bankrupted most state-run water utilities and made the private sector wary of getting into it - thereby leaving large parts of the country water-starved. But this state of affairs need not continue. This case study looks at how the Chennai Metropolitan Water Supply and Sewerage Board leveraged the city's coastal location, developing a model that not only enables it to get lowcost water but also encourages private-sector participation. The water scarcity Chennai faced in 2003/04 was unprecedented in the citys 400-year history. Its four reservoirs went bone-dry as the monsoon failed for two consecutive years. The ground water level, too, fell sharply. Piped water supply was shut down and remained so for almost a year. The Chennai Metropolitan Water Supply and Sewerage Board (or Metro Water, as the citys water utility is popularly called) barely supplied 175 million litres on alternate days. At the time, the citys population of 4.5 million needed 600 million litres daily (MLD). Much of the water - around 100 MLD - had to be transported from aquifers 150 km away, on trains and trucks. The citys residents had to pay substantially to buy water from private suppliers, spending an estimated Rs 50 crore a month. The crisis pushed the state government, then led by Jayalalithaa (in her earlier stint as chief minister), to look for ways to drought-proof the city. The state government launched the New Veeranam project, which envisaged a supply of 180 MLD from the Veeranam tank, 225 km from Chennai. The tank is at the tail end of the Cauvery river system, and is fed by the southwest monsoon. The citys reservoirs depend on the northeast monsoon. But it still meant that all water sources - Veeranam, the citys reservoirs and the Telugu Ganga project (which made Krishna river water available) - remained dependent on the rains. This was a source of worry. The government began to look for a perennial source of water. The city's long coastline offered a solution. "Desalination opened up the possibility of having a perennial source of water," says B. Chandra Mohan, Managing Director at Metro Water. The state government decided to bet big on desalination. But that threw up many challenges. Water, being a politically sensitive commodity, is always underpriced in India. Such pricing has driven the private sector away from water projects and left state-run utilities deep in the red. Not surprisingly, large parts of the country are water-starved. As data placed in Parliament by the Urban Development Ministry in September 2013 showed, 22 cities in the country have water shortages of 30 per cent or more. 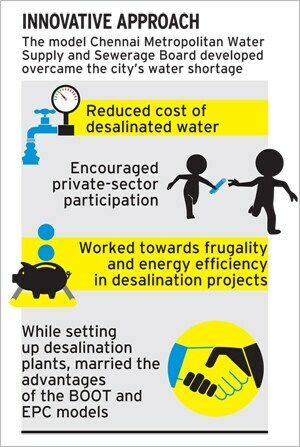 Desalinating water is costly, and involves advanced technology, so private-sector participation in Chennai was critical. But Metro Water was not exactly in the pink of financial health. Still, it went ahead. With no experience in desalination, it opted in 2005 for a build, own, operate and transfer (BOOT) model of private-sector participation to set up the first desalination facility. It entered into an agreement with IVRCL Infrastructure & Projects Ltd, which had environmental technology company Befesa Agua of Spain as a partner, to set up a 100 MLD desalination plant at Minjur, a suburb north of Chennai. In turn, it would pay IVRCL 4.8 paise per litre of water supplied for 25 years. The project began supplying water from July 2010. Even as the Minjur project was being developed, Metro Water began studying alternative business models of desalination that would not only reduce the cost of the desalinated water, but also give it a say in the choice of technology, to ensure cost efficiency. It also wanted to use its learnings from Minjur for future projects. A BOOT project offered no such scope. After months of research, Metro Water finally arrived at a hybrid model. "We decided to marry the advantages of the BOOT and EPC (engineering, procurement, construction) models," says Metro Waters Chandra Mohan. The new model allowed private-sector participation, and also leveraged the governments strength in terms of capital mobilisation and risk management. The government would pay for and own the plant, but construction and operations would be in private-sector hands. For the 100 MLD desalination plant the Metro Water planned at Nemmeli - south of Chennai, en route to the famous Mahabalipuram temple - it zeroed in on this model. "The cost of capital and the associated risks [as bankrupt state utilities are the major buyers] are big elements," says M.S. 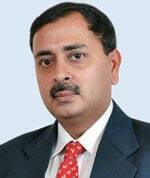 Srinivasan, Senior Vice President, VA Tech Wabag, a Chennai-based water treatment company. "They add up to two paise per litre of water, and push the end price of water to around five paise. This model took these costs out of the equation." Metro Water used money from the Rs 1,000-crore grant that Finance Minister P. Chidambaram had allocated to solve Chennais drinking water problem in the 2005 budget, to fund the 100 MLD Nemmeli desalination plant. To keep costs low, Metro Water took the bidding route right from the detailed project report stage. In August 2007, Mecon Ltd, a public-sector undertaking, was awarded the contract to draw up a detailed site-specific project report. Unlike most other projects, Metro Water also asked Mecon to do a detailed engineering assessment of the project. This meant that finer details of the project, such as the choice of technology, machinery and plant design, had to be firmed up early on. To keep costs low, non-proprietary equipment was preferred. Metro Water ensured a pre-treatment process was in place. As the Bay of Bengal is a rough sea, a lot of dirt enters the system through the intake pipes. The Minjur plant had faced enormous challenges initially due to this. Once the project report and detailed engineering plans were in place, EPC tenders were invited in January 2009. Bidders were given the report and drawings, and asked to quote a price to build the plant. "Metro Water put a lid on the choice of technology, design, machinery and got EPC contractors to offer the best quote," says Srinivasan of VA Tech Wabag. "In the normal course, contractors would have given a quotation using different technologies, and Metro Water would be comparing apples and oranges." Simultaneously, Metro Water invited seven-year operation and maintenance (O&M) bids. This process factored in energy efficiency by fixing energy consumption. "Median energy consumption parameters were arrived at. If the O&M operator exceeds them, he is penalised," says Chandra Mohan. "This way we ensured that bidders did not quote low prices for the EPC part and recoup them through O&M." Six of seven bidders qualified, and VA Tech Wabag in collaboration with IDE Technologies, an Israeli consortium, bagged the contract in December 2009. To ensure that the EPC contractor adheres to the design, Mecon, which drew up a detailed project report, was appointed as project management consultant. Work on the Nemmeli plant started in April 2010. The plant reached full capacity in December 2013. It cost Rs 533 crore to build. Today, water from Nemmeli costs just two paise per litre. "It has cut the cost to a level that is politically palatable. 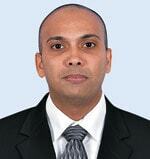 It offers tremendous scope for replication across the country," says Srinivasan. Experts say the execution of the project offers interesting lessons. 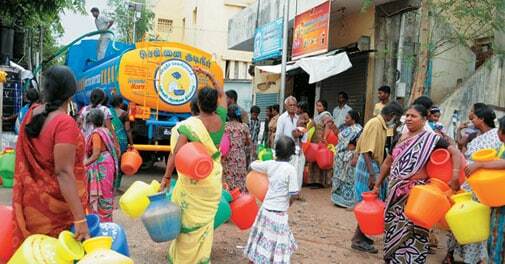 Water shortage returned to Chennai this year, after a poor monsoon last year. Storage in the reservoirs is low, and the groundwater level is falling. But with two desalination plants producing 200 MLD, Metro Water has kept up the citys supply at 831 MLD. Desalination accounts for a quarter of the citys water supply. As a follow-up to Nemmelis success, Chief Minister Jayalalithaa has announced two more large desalination plants for the city, of 150 and 400 MLD capacity, based on the Nemmeli model. These are expected to be up and running by 2018, accounting for 70 per cent of Chennais water needs and making the city drought-proof for the first time in its history. Water scarcity is a global issue which needs regional attention and management. For many coastal cities, desalination has been a key problem-solving technology. To tackle the impending water crisis, India too adopted desalination, albeit slowly. Unlike in industry, the growth of desalination in the municipal segment has been slow in India, mainly because most of the municipal corporations are unable to pool in the funds required for setting up large-capacity desalination plants. Factors such as high subsidy for water and poor water metering systems have resulted in sub-optimal revenue generation. But with support from the Jawaharlal Nehru National Urban Renewal Mission, which aims at improving infrastructure in Indian cities, municipal corporations can overcome financial constraints. India has a vast coastline. There are about 20 coastal cities with varied potential for desalination. Key cities for desalination are Mumbai, Chennai, Kolkata, Surat, Visakhapatnam and Kochi. Around 94 per cent of the total water requirement of coastal cities in the country is from these six cities. The combined water requirement in these 20 cities stood at 9,059 MLD in 2013 and is expected to grow at a compound annual rate of 7.6 per cent to reach 23,607 MLD in 2026. One can expect heavily populated cities such as Mumbai, Chennai, Kolkata, Surat, and Vizag to turn to desalination plants to narrow the supply-demand gap. Fast penetration of desalination plants requires strong political will in addition to promoting private-sector participation, as seen in the desalination projects executed in Chennai. If the top coastal cities decide to build desalination plants to meet 20 per cent of drinking water needs, then by 2026, Mumbai will need an installed capacity of 2,500 MLD, followed by Kolkata with 750 MLD and Chennai with 400 MLD. Chennai has already begun. The other municipal corporations, too, must start planning the means to match supply and demand. For this to happen, the road definitely goes through desalination. The focus of all water utilities and state governments while addressing the gap between demand and supply, has been to address the supply side of the equation through new capacity addition. This brings in the requirement for new capital investments and a consequent increase in the overall cost of supply. There are certain issues that are not being prioritised by the water managers in the country. The first is of Non-Revenue Water (NRW), a euphemism for water lost through leaks in the distribution network. Any new supply being pumped into a leaking distribution system will have its impact limited by this problem. NRW is reported to be more than 40 per cent in most cities in India. The second issue is that supply is limited to only a few hours in the day. This leads to the tendency of consumers storing more water than they need, and emptying the stored water the next day when fresh supply commences. This leads to inflated consumption. Consequently, 24x7 water supply systems lead to significant reduction in water consumption. The third issue is building awareness about water conservation. Awareness building has to be integrated in the school curriculum and supplemented by other media efforts, so that the coming generation is more sensitive to water wastage. Finally, the most difficult and politically sensitive issue is of 100 per cent metering and right pricing of water. The tariffs and metering also contribute to water conservation in a big way. The focus on improving water distribution network has yielded wonderful results in many cities across South and Southeast Asia, such as Manila, Phnom Penh and some cities in Bangladesh (where a beginning has been made). Chennai seems to have placed its bet on desalination towards addressing the supply side of the equation. It now needs to also focus on the demand side of the equation by addressing the issues mentioned earlier. It may not need the new plants in the future!